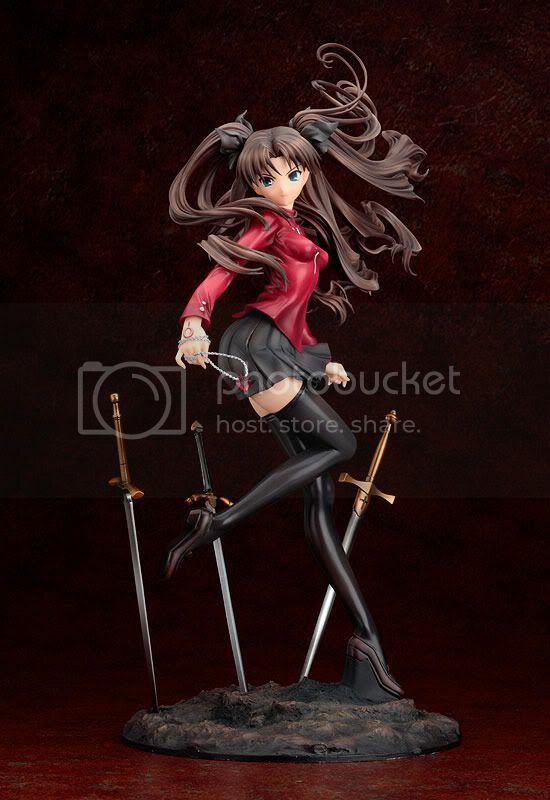 Good Smile Company is going to release the Rin Tosaka 1/7 PVC figure from the Fate/Stay Night movie: Fate/Stay Night - Unlimited Blade Works. 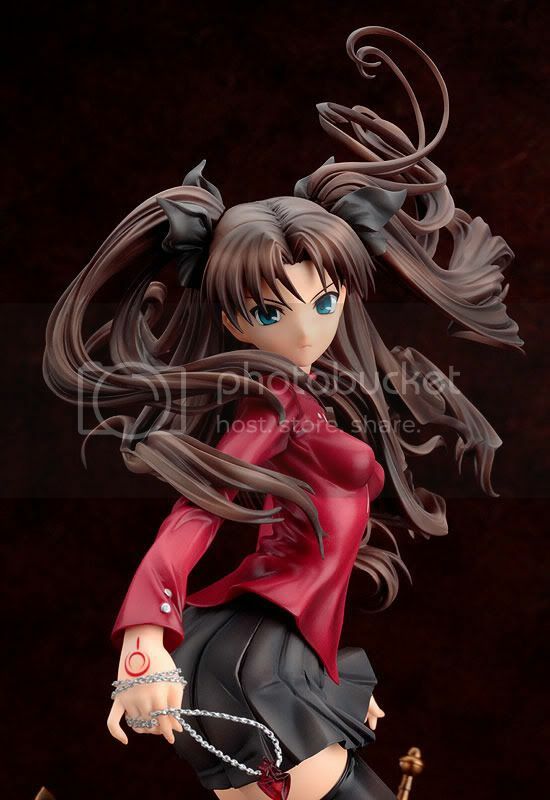 This figure is approximately 265mm in height (including base) and will be released in May 2011 around 8,380 yen. 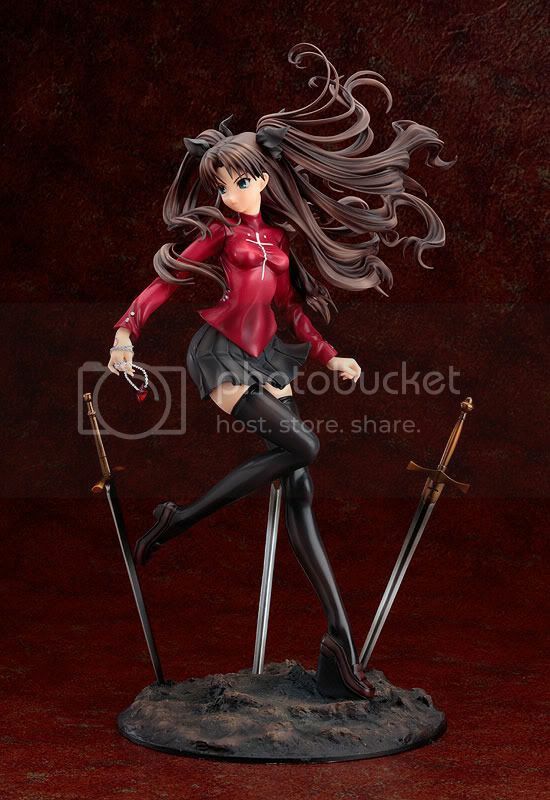 Rin's pose is taken from the key visual used for the film while the base is based off the image of Archer's world, Unlimited Blade Works, which has swords scattered throughout the ground. 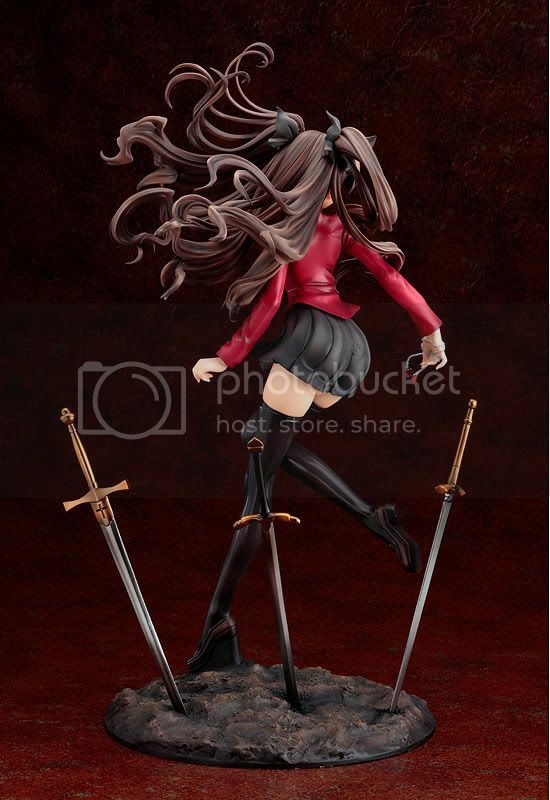 GSC did a great job in sculpting her long hair as it looks incredibly detailed and flowing naturally. 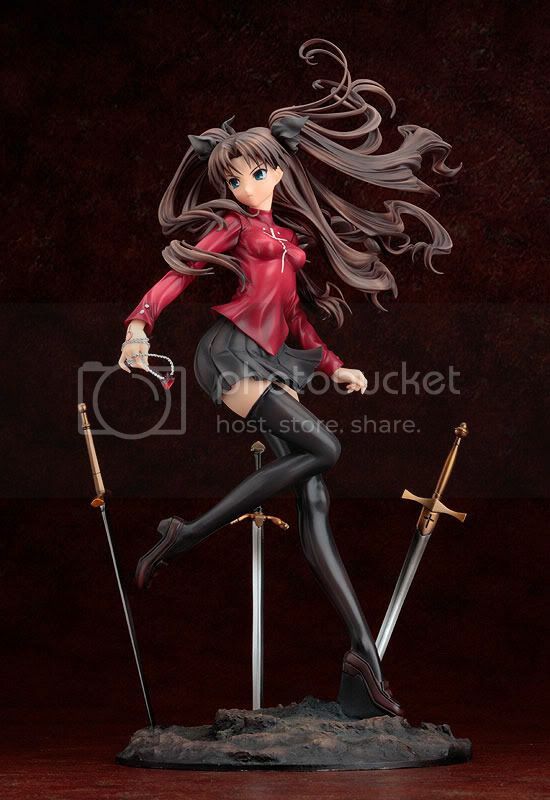 This figure will also come with replaceable hands that allow Rin to hold the Azoth sword as well as her red gems. Preview: GoodSmile's 1/8 Racing Miku 2010 ver. Preview: A-label's 1/4 Revy Cowgirl ver. 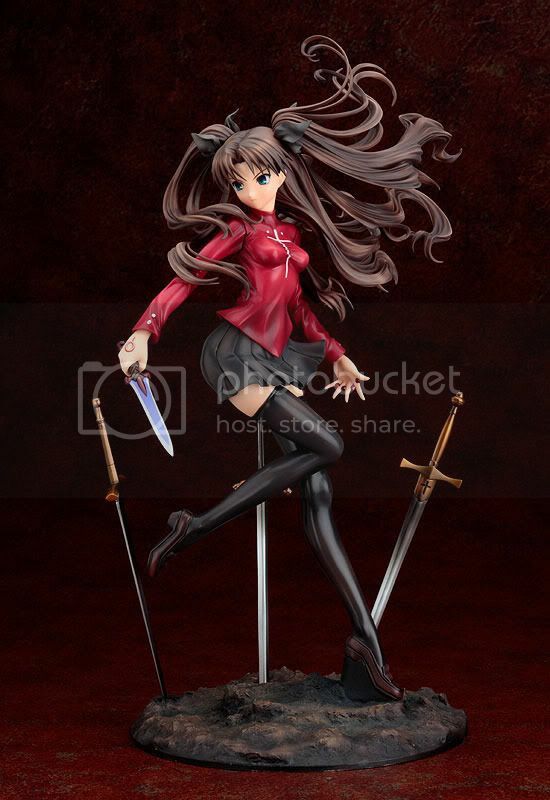 Preview: Figma Erio Mondial Barrier Jacket ver. Preview: Daiki Kogyo's 1/4 Ryomo Shimei Gold ver. Preview: Griffon's 1/7 Ryofu Housen Maid ver. Do you like "nested" comments? Be right back due to maintenance - DONE!